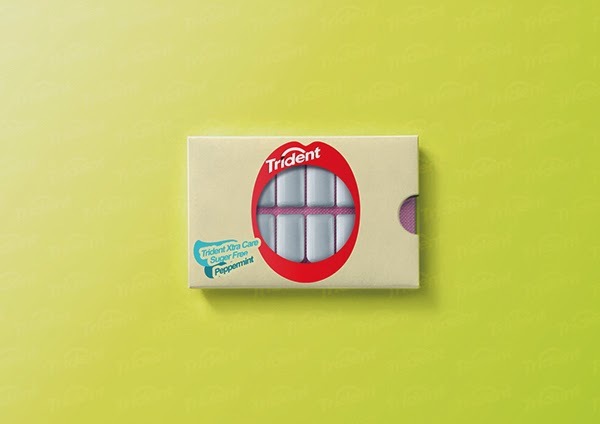 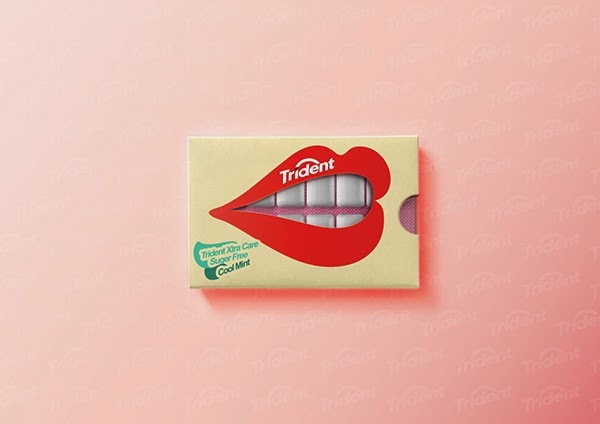 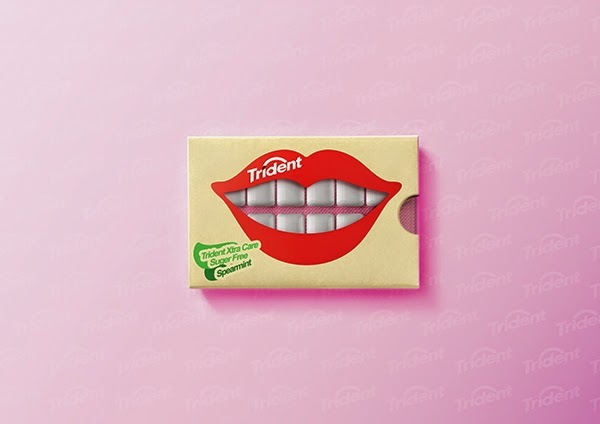 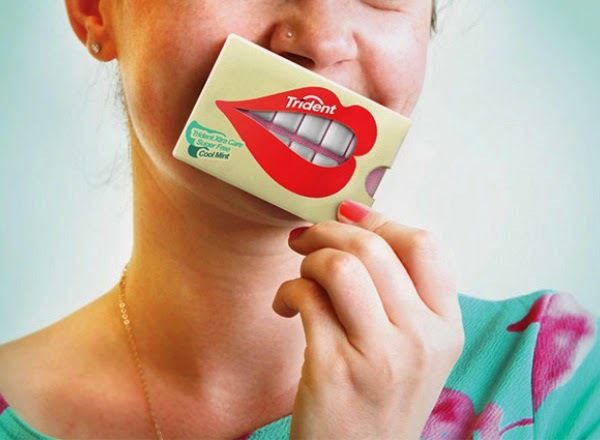 Visual designer Hani Douaji has created an amusing fun, playful and interactive packaging for Trident Xtra Care chewing sugar-free gum, to enhance the main feature of the product "Protecting Teeth". 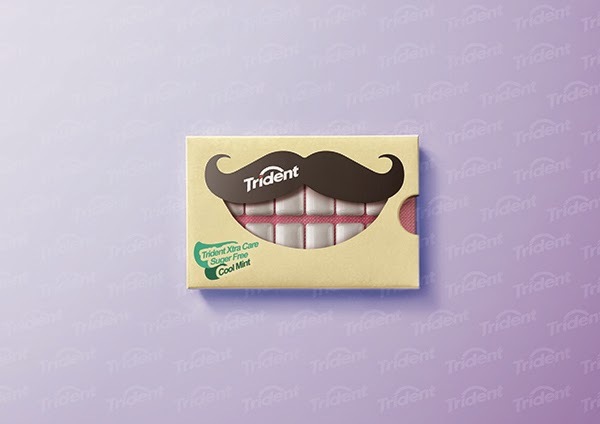 A range of Six packs that represent three flavors, each pack has an illustration of a mouth with either a pair of feminine lips or a manly moustache. 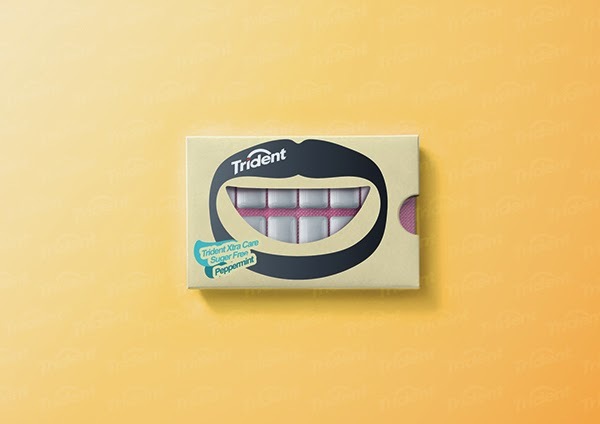 The chewing gum look like pearly white teeth through the mouth die-cut window. 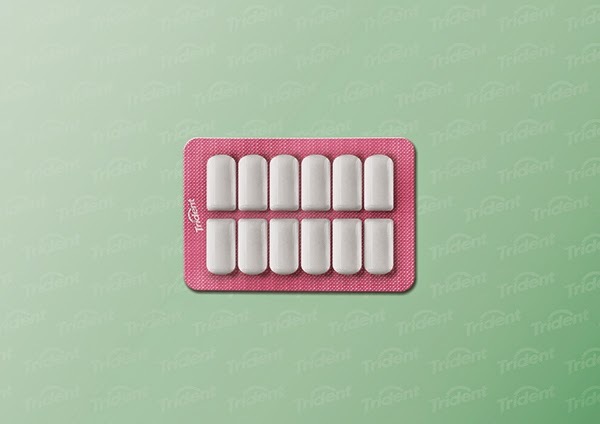 The Blister chewing gums is designed to look like a set of bright teeth on pink gums. 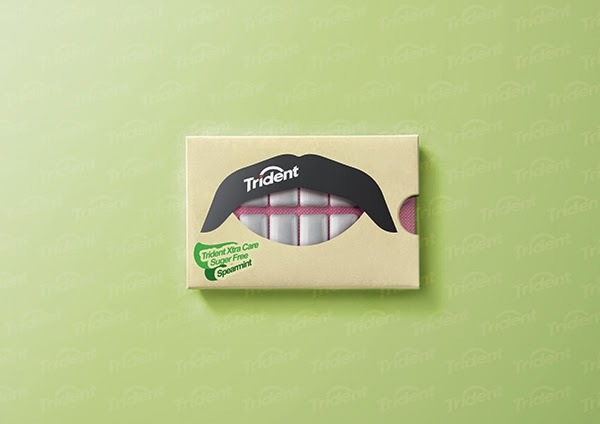 The consumers could interact with the new packaging in a fun and simple way. 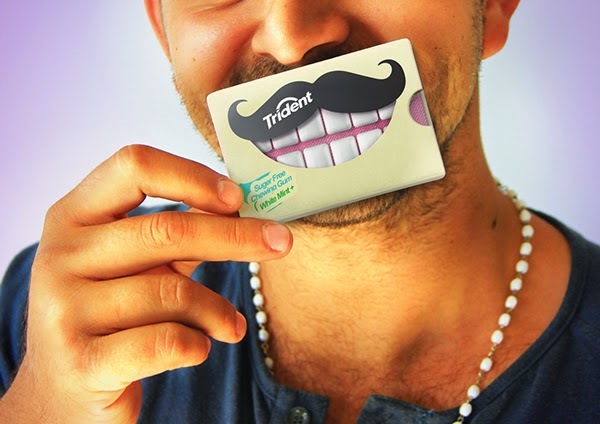 By holding the packaging up to their mouths they could put bright smiles on their faces.